In recent years the UK has been more entrepreneurial than ever. The first half of 2016 saw 80 new businesses born every hour. Exciting times for many. But which places offer the best home for start-ups? There are a lot of things to consider when deciding the optimal conditions for a fresh new business to survive. Here’s our list of the best places in the UK for starting a new business. According the innovation charity Nesta, Oxford is one Britain’s creative hotspots. That’s a no-brainer considering that startups in Oxford have access to 22,000 of Britain’s smartest and hardworking young people. The prestigious University of Oxford offers an almost endless supply of talented graduates looking for the next big opportunity, particularly in areas such as science and technology. In addition, Oxford boasts a world class standard of living for when you take a break from kickstarting your new business. As a historic city it has beautiful architecture and scenery, as well as independent shops and bars. It’s not the cheapest on this list however, as its housing prices sail way above the UK average. Survival rates for new business in Oxford between 2010 and 2016 have reached a rather impressive 41.49%. Leeds is considered as the number one financial capital outside of London, generating 4% of the nation’s output. With close connections to Manchester and Liverpool, Leeds is a northern powerhouse when it comes to new business. Considerably cheaper than London and Oxford, the city is perfect for start-ups with more humble means. Thanks to the recent Trinity shopping centre – a sprawling commercial haven – Leeds has become an ideal place to start new retail or restaurant businesses, as independent boutiques fit in comfortably between large chains. Start-ups also have access to one of the biggest student populations in the country. Leeds is home to three large universities. The best of which, the University of Leeds, is regarded as one of the UK’s best. Bristol has had an increasingly high survival rate when it comes to start-ups – around the 43% mark – making it the place to be for new business ventures. Furthermore, Bristol is one of Britain’s largest ports, meaning that for the 2,800 start-ups in 2016, it’s the first stop for international markets. The city is also home to British Temple Enterprise zone, a project set to drive economic growth through aiding the start of new businesses. On top of this, Bristol University runs a ‘Research and Enterprise Development’ project, which works with local businesses to put ambitious students into graduate roles. One of Britain’s most liberal cities, Bristol is known to be friendly, green and full of independent shops and restaurants. A great place to bring up a family. The financial capital of Europe is of course an excellent place for new businesses. In 2015 London was ranked as the 6th best start-up ecosystem in the world. This is mainly due to its huge concentration of money and people. The diversity of investors and customers can allow a whole range of different businesses to thrive. The UK capital also offers an array of different incubators and accelerators, allowing you to kickstart your business amongst other aspiring entrepreneurs. Not to mention, London is the UK’s main access to mainland Europe and the rest of world, making it the prime location for start-ups with eyes overseas. However, it’s easy to get lost in London’s vastness. The huge number of existing businesses, large and small, create hard competition for anyone trying to crack the city. Therefore, the survival rate in London reaches 39.1%. Similar to Oxford, Cambridge is making grounds in the technology and digital industries due to the availability of overachievers pouring through the gates of Cambridge University every year. The perks don’t stop there. The university also has a program that outreaches to local businesses, providing advice from some of the best academics in the world. Cambridge is a small city, but that’s one of its attributes. It is well networked, and small businesses have strong links with each other. 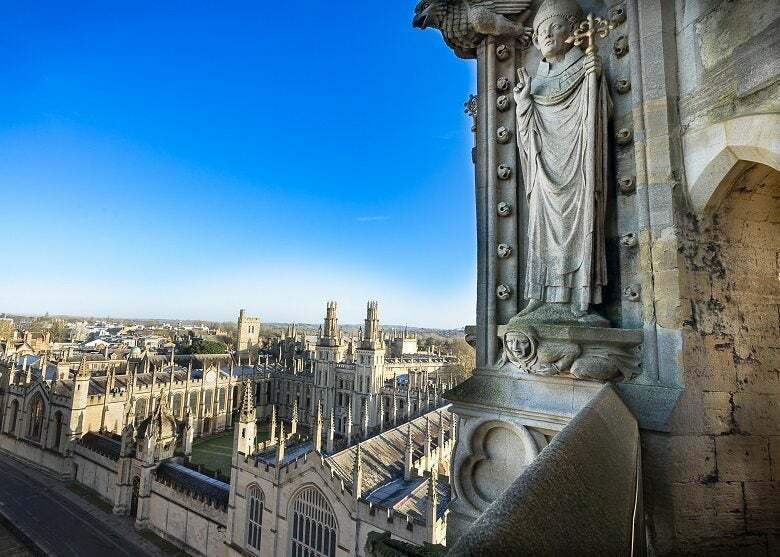 As well as having links within itself, Cambridge is just a short commute from London, making business connections to the Capital incredibly easy. The picturesque city, beautiful architecture and housing do not come cheap however. The average house price comes in at around £470,000. The best city for start-ups in 2016 according the Guardian, Edinburgh is certifiably one of the prime locations for new business ventures. The Scottish capital is home to two ‘unicorn’ start-ups, FanDuel and Skyscanner. -Start-ups win the unicorn label when they’re worth over a billion pounds. Edinburgh offers particularly good start-up opportunities for biomedical businesses due to help from a joint venture between Scottish Enterprise, the NHS and the University of Edinburgh. Away from the business side of things, Edinburgh offers a lot of fun things to do. Home to a plethora of bars, restaurants and entertainment – amongst it all being the famous Fringe Festival – Edinburgh is a great place to move to.